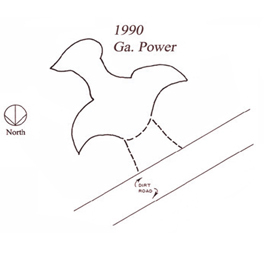 The drawings above show how the shape and measurements of the mound, referred to as the Rock Hawk Effigy today, have changed over time due to disturbances and other unexplained reasons. Has the effigy been reconstructed? Were there two effigies in the area? These questions strongly point to the need to preserve historic sites so as to respect and understand the past more fully and to allow future generations to learn from and appreciate the site. The few references to the site conditions from the 1930s suggest very poor preservation (Harrold 1939). 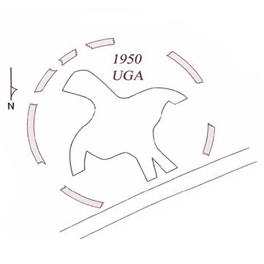 The site was revisited by a group of A. R. Kelly’s (UGA) students in early 1950 under the supervision of Joseph Mahan. The site was cleaned, mapped, and apparently partially restored at that time. 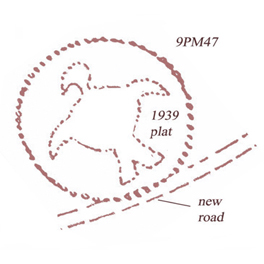 Kelly clearly notes that the mound is smaller than Rock Eagle at the 4-H Park (Kelly 1954), but that statement has never been accepted by most later authorities. 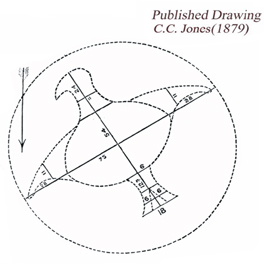 To this day, essentially all published references to the mound quote the measurements of C. C. Jones. 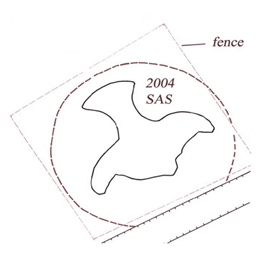 The site was again mapped in 1990, and the results were comparable to the 1950 measurements except that the head and tail areas had been disturbed in the intervening years. 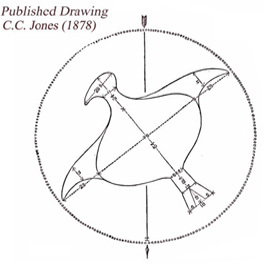 Remapping in 2004 again confirmed that the effigy mound presently identified as 9PM47 (Rock Hawk) is substantially smaller than the measurements provided by C. C. Jones (1878).